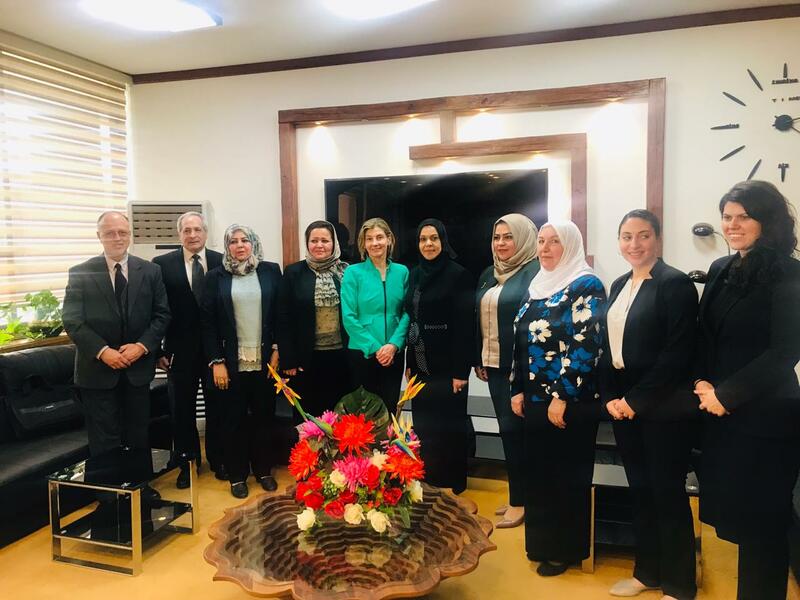 The center for women’s studies received a delegation from the United States Institute of Peace (USIP) represented by its president Nancy Lindberg and her entourage coming from Washington for cooperation with the center where they met the Rector of the University of Baghdad Prof. Dr. Abdul Hussein Abdul Rasool and the Associate Rector for scientific affairs, Assist. Prof. Dr. Osama Fadel Abdul Latif. 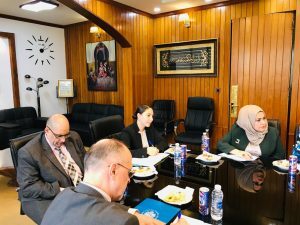 During her speech, the director of the center gave an overview about the center’s policy and objectives, research achievements including the seminars, workshops and conferences held and sponsored by, with a special reference to the UN Security Council Resolution 1325 concerning women, security and peace as a meeting point between the two sides. 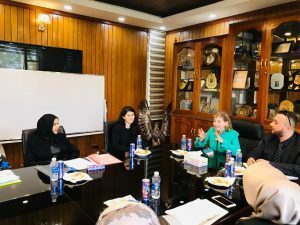 At the conclusion of this event, the delegation was briefed on the most important challenges facing the center and how to overcome them for the sake of improving the reality of Iraqi women.